Direct output to the interbank opened market. 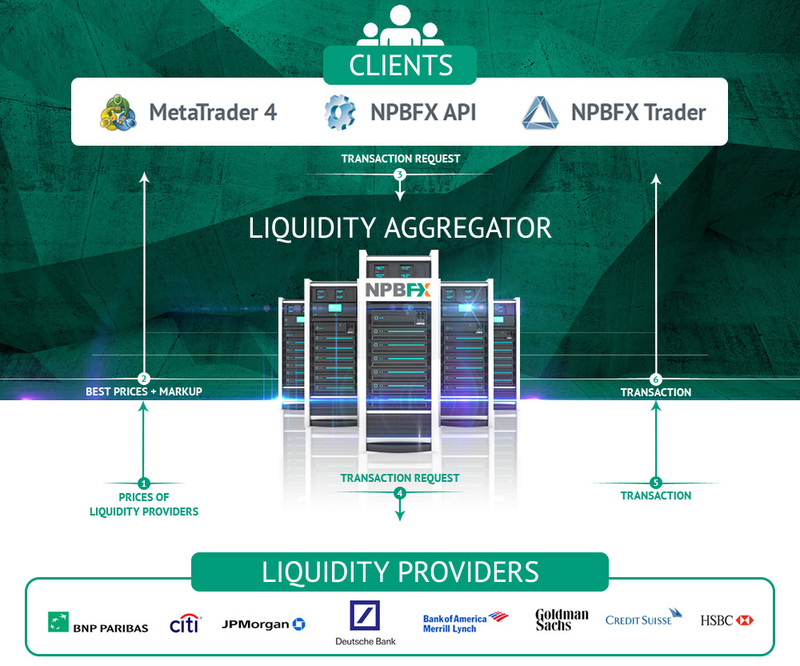 The NPBFX company serving customers in the Forex market only by broker model: every customer’s transaction outputs to liquidity providers (interbank foreign exchange market). Output to the interbank foreign exchange market carried out automatically by STP/NDD technology (Straight-Through Processing /Non Dealing Desk). Each customer transaction is hedged with liquidity provider, so the company does not appear open currency position. Customer service income mainly comes from a supplement to the spreads — markup and / or the commission. The broker model eliminates the ficancial conflict of interest between the company and the client, because the company earns only from the client`s trading turnover. Since 2008 the NPBFX Company has been developing and improving its own software and hardware complex for executing transactions with the output to liquidity providers. The basis of the complex are liquidity aggregator and the bridge. Aggregator offers to it`s customers the best market prices provided with liquidity of the Tier 1 banks and ECN-systems (Integral, Currenex, Hotspot). Servers of NPBFX company located in Equinix NY4 data center, New York. Nowdays, nearly 50 different stock exchanges use Equinix facilities, including BATS, ICAP, Nasdaq and NYSE. 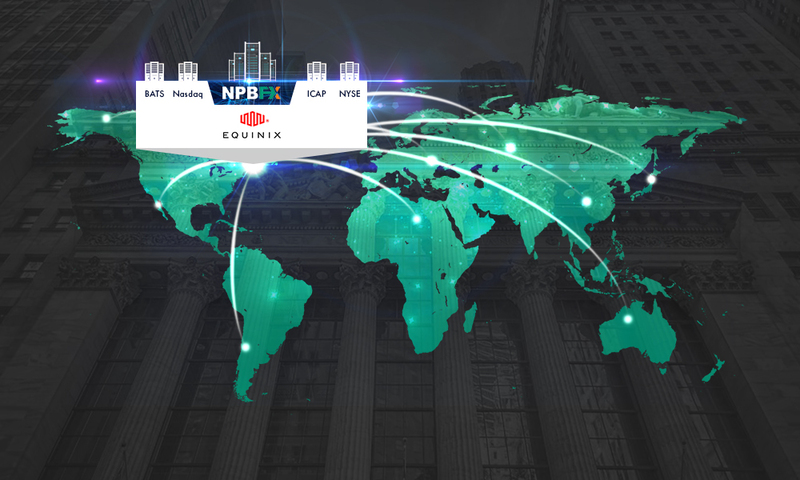 In The Equinix NY4 data center NPBFX trading system is directly connected to the world’s largest liquidity providers. Advanced server technologies can offer high performance results and provide high-speed and minimum delay connection for customer`s transactions.